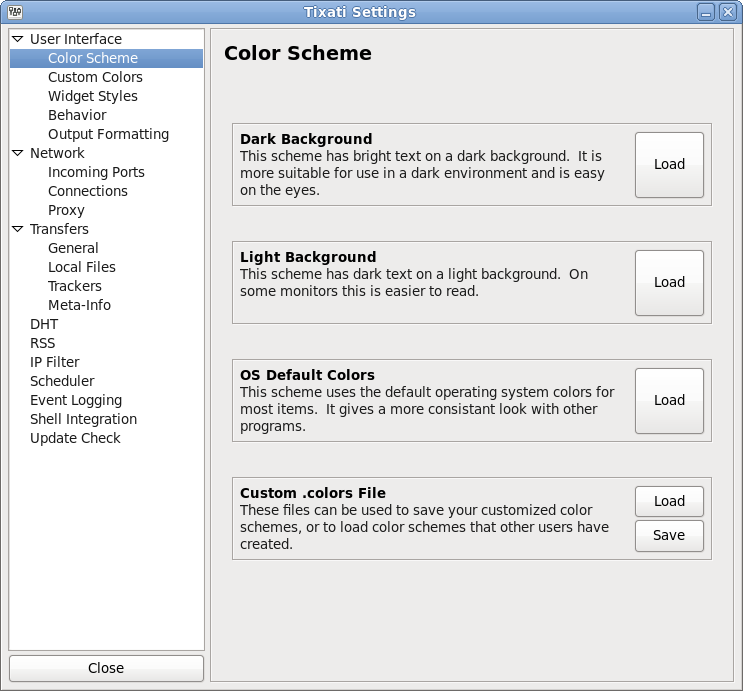 A default dark or light color-scheme can be loaded by pressing the appropriate button. The OS default color scheme is very plain and is intended as a starting point for creating new schemes from scratch. Buttons to save and load custom schemes to and from .colors files are also provided. The .colors files produced are usable on any installed copy of the software regardless of operating system.